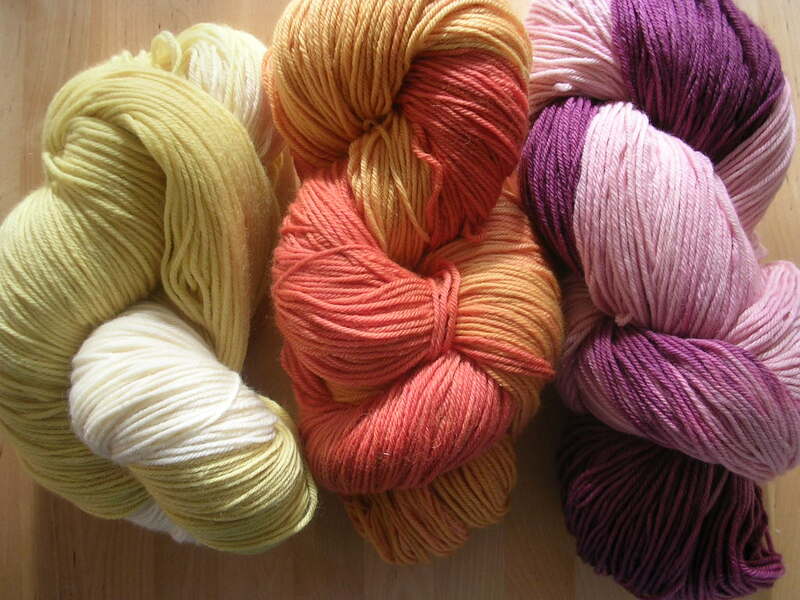 These yarns will go on sale at 5pm, Friday November 17th at The Waldorf School of Philadelphia's Holiday Craft Fair. (My time and effort are a donation to the school, so the full purchase price for these yarns goes toward fundraising.) This won't be the only yarn for sale at the fair. 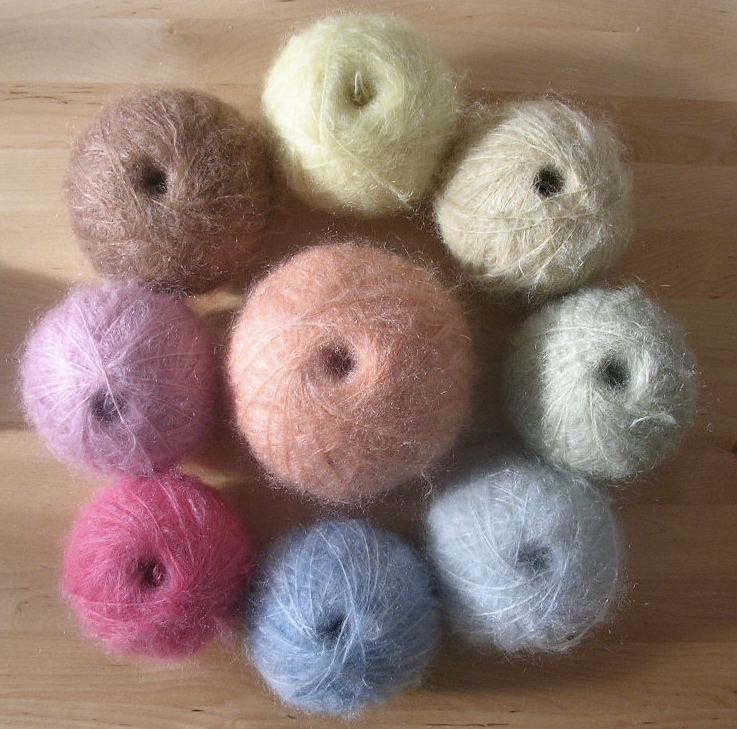 Rachel-Marie will be there with her handspun and hand-dyed yarns. Natalie Moss will be there with yarns and fleece from the sheep on her family farm. 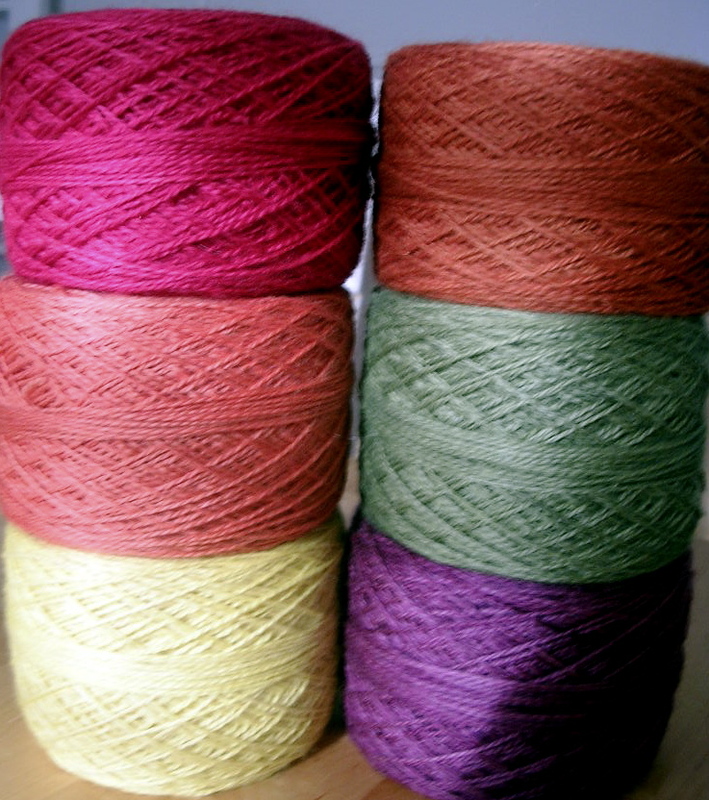 More plant-dyed and handspun yarn will be in the school store along with other crafts supplies and handmade gifts. Don't get me started about the food; (too late) several professional chefs and bakers are among my fellow parents at the school and their entrees, sandwiches, soups, pies, cookies, etc. will be for sale at the Fair, too. There's a children's craft room and a children's shopping room with handmade items all priced for $2 or less. The silk marionette play this year is "Snow White and Rose Red." Children are admitted free to the Fair (there is a charge for the play and for crafts) and adult admission is $5 (peek in at your Philadelphia lys for a postcard for $1 off admission or email me cbshiffman (at) yahoo (dot) com with your address and I'll mail one to you). Be sure to introduce yourself if you come by the Parent Handwork Table on Friday night--I'll be there from 5-9pm. Gorgeous stuff!! I can't wait to someday get my dye-ing lesson from you. Good luck with the fundraiser. Gosh, what a great collection you've got there. I wish oh wish I could come but the ocean is in the way. I love all the colours you've acheived. Did I ever tell you that you inspired me to mix my colours - I think it started with apple or cherry bark and cochineal that you did. i look forward to being 'haunted' by you! stop by soon - i update my blog every day with new patterns. 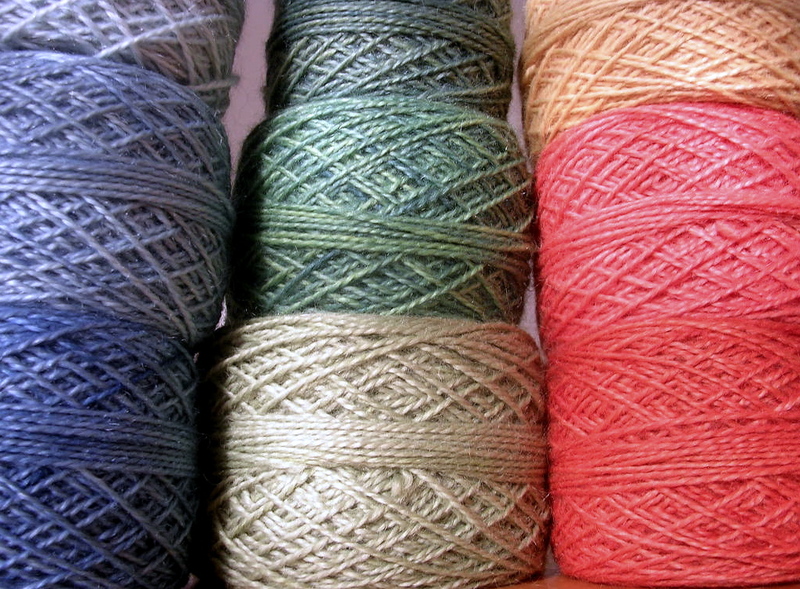 Ohhh, Cristinaaaaaaa, your yarns are gorgeous. I just can't stand it! Are you guys taking phone bids like at Sotheby's? Whatever you don't sell, I'll buy! Seriously! And is it possible to bid remotely on the afghan? You're a genius, I tell ye. i love those colors! how do you do that?? ?what dyes do you use??? seriously,, whatever you have leftover, i will buy!!! found you thru masondixonknitting.com blog. I'll definitely post about methods and sources when the Fair is over and I'm out of hibernation...I doubt I'll do an etsy shop...Simmy at Echoes of a Dream (link in my sidebar) has stocked an etsy shop with her plant-dyed fleece and blanket and has tutorials on how to dye with natural materials. I also have one how-to for getting a specific shade of pink (see "coral" in the recipes section of the sidebar). 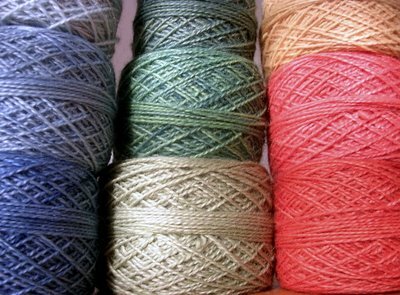 I feel lucky to have bought the green sock yarn today at the fare. 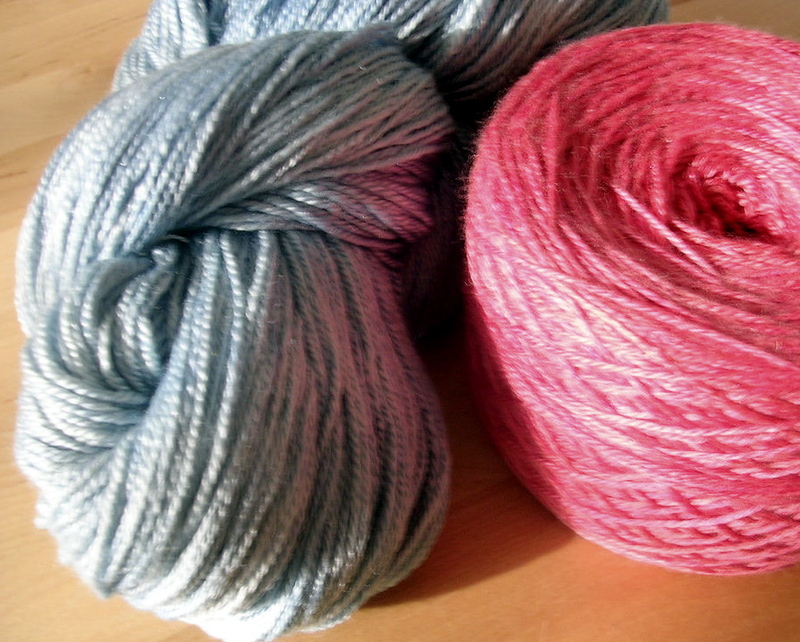 It was tough to decide which yarn to buy because it was all so beautiful. No phone call about the blanket though so I fear that neither Savannahchik Jody, nor I, won the raffle. The blanket was even more beautiful in person.